Warrants were issued to detain at least 159 people including 34 from the government-closed media outlets on Friday. 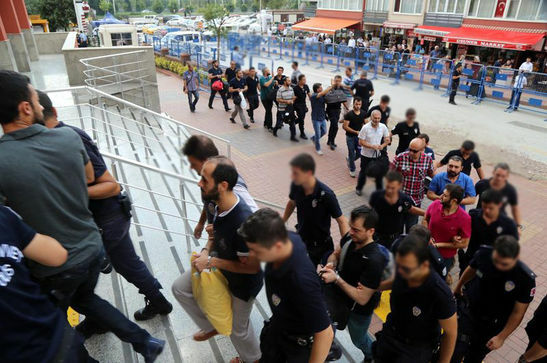 According to state-run Anadolu news agency, Ankara Public Prosecutor’s Office issued detention warrants for 159 suspects as part of an investigation into the Gulen movement, which the government accuses of masterminding the July 15, 2016 coup attempt. The suspects are charged with having used ByLock mobile app which authorities believe the once- top communication tool among Gulen followers. Turkey has already detained more than 120,000 people, among them 274 journalists, over links to the movement since last summer.